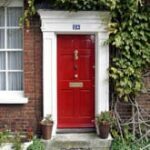 Though your front door plays a pivotal role in welcoming guests into your home, it can also serve as the entry point for unwanted visitors. The majority of home break-ins occur through the front door, which has several vulnerable parts. 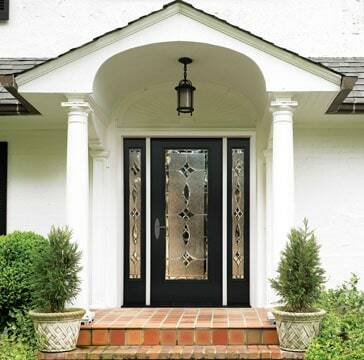 In this article, you will find methods for minimizing front door break-ins by strengthening the door’s weakest points and buying the right hardware. 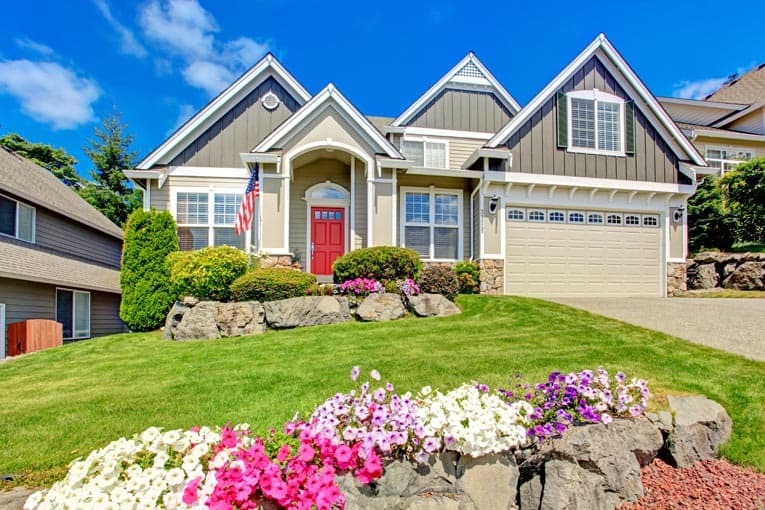 Your front door’s lock hardware can make or break your home’s security. If your lock hardware has certain inherent flaws that can be exploited by burglars, then your overall security is at risk. Cylindrical lockset has workings that fit into a large hole. This type of lock is only marginally secure. Most stock cylindrical locks are fitted onto doors by boring holes through a section of the door itself, weakening the door. This provides a clear target for burglars and other attackers. Homeowners can add a metal door-and-lock reinforcer that prevents thieves from breaking the area around the lock to keep them at bay. Metal door-and-lock reinforcers are made from an array of metals, including brass, iron, and stainless steel. The stronger the metal, the more force it will withstand. 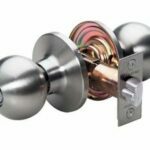 Your door’s lock cylinder can be attacked in several ways. Burglars can attempt drilling, bumping, or picking the lock. 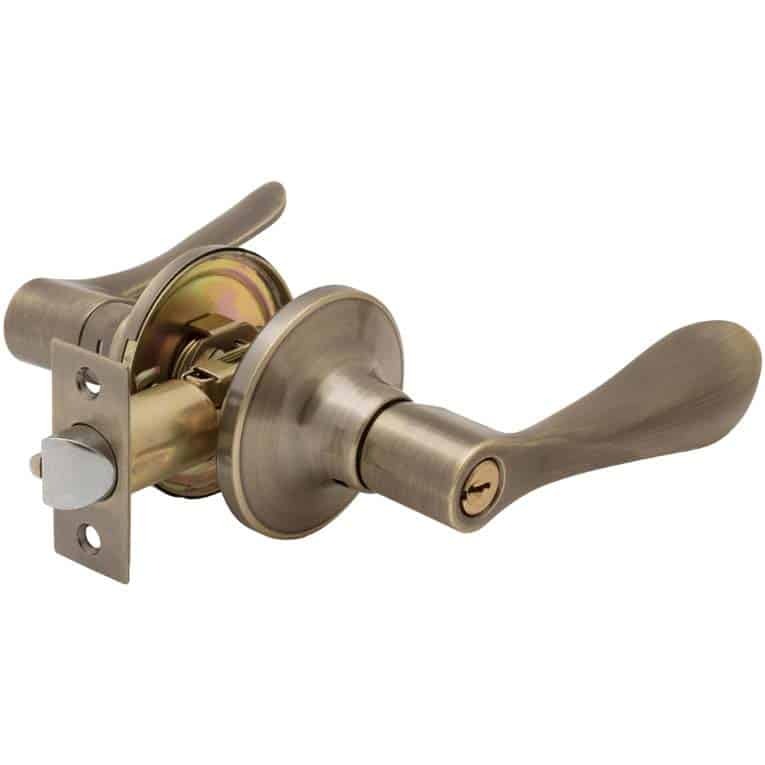 If your door lock cylinder does not have internal features to guard against these kinds of attacks, a burglar can bypass your front door locks and thwart your home security relatively easily. 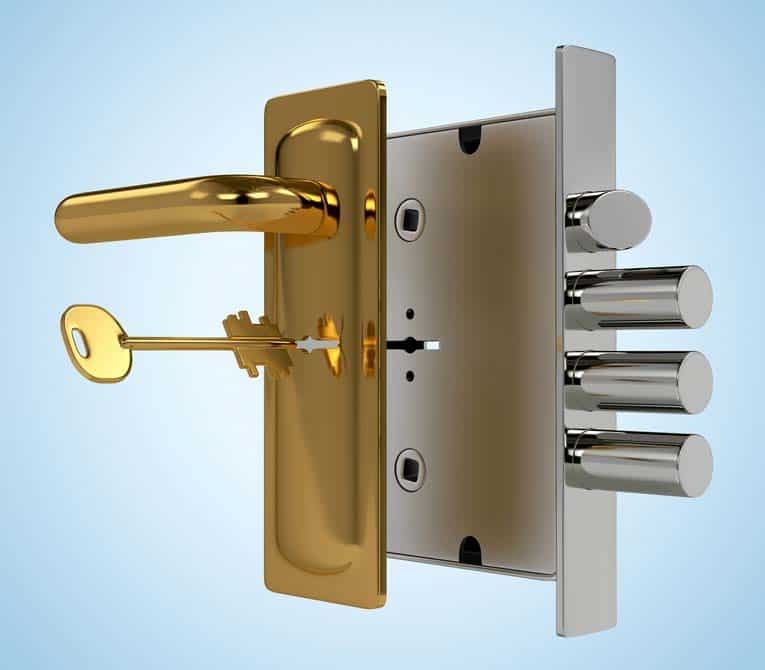 High-security door lock cylinders usually have mechanisms that reduce the probability of a successful lock picking, lock bumping, or lock drilling attack. If you understand the basics to lock picking, it will be easier to comprehend the methods of prevention. Burglars work within a limited amount of time, so the more challenging your lock is to pick, the better. The use of a high-security lock cylinder that utilizes security pins and wafers is the best way to make your lock very challenging to pick. 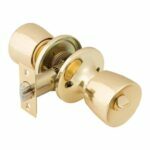 High-security mortise-style locksets can have multiple bolts made of case-hardened steel. Ideally, your lock cylinder should also have anti-bump and anti-drill features. Inside a lock, there is a “shear line” between the inner and outer cylinder. Lock bumping works by forcibly pushing pins above the shear line, whereas drilling targets the shear line in a destructive manner. An anti-drill lock will utilize specially crafted steel inserts that cause drill bits to glance off the cylinder. Additionally, homeowners should make sure that their high-security lock cylinders are always paired with a high-security deadbolt that can also withstand brute force attacks. Door hinges keep your door hung properly on the frame and are an integral part of overall door infrastructure. However, they present a unique vulnerability. If burglars are not able to bypass your door locks, they will most likely target your door hinges. An attack on your door hinges can potentially dislodge your entire door or pull out the frame, giving burglars easy access to your home. Door hinges come in two varieties: inward facing and outward facing. Inward facing door hinges are usually much more resistant to attacks because the hinges are inaccessible. Outward facing hinges are the ones that homeowners need to be wary of because burglars and criminals can easily thwart them. To shore up this vulnerability, you can change the direction your door opens so that it utilizes inward facing hinges. This can be a tough job to carry out, especially if you are not a seasoned do-it-yourselfer. Possibly a better option is to increase the security of the hinges that you already have in place. This usually involves adding some minor components that have a big impact on security. The use of enhanced security studs, corrugated pins, and 3-inch set screws will make it much harder for your door hinges to be compromised. The strike plate is an additional piece of metal meant to hold the lock bolt in place where it enters the door frame. The use of a strike plate is a great way to reinforce the overall security of your lock, but if your strike plate is not properly installed, it will ultimately do very little in a brute force attack. If a door doesn’t have a properly-installed strike plate, burglars can easily kick down your door or pry the lock bolt out of the door jamb. The ideal way to reinforce your strike plate is to make sure that it is firmly connected with long screws to the door jamb and its adjoining door frame. Long screws will bite into the stud that supports the jamb. When a door is kicked, the most likely failing point will be the strike plate—short screws just rip through the frame, shattering the material that holds the deadbolt. But longer screws— at least 2 to 3-inches long—won’t rip free. This simple process increases your security tenfold. Increasing the security of your front door is an essential task that all homeowners have to consider at some point, but always keep in mind that there are other additional alternatives that bolster your security as well. 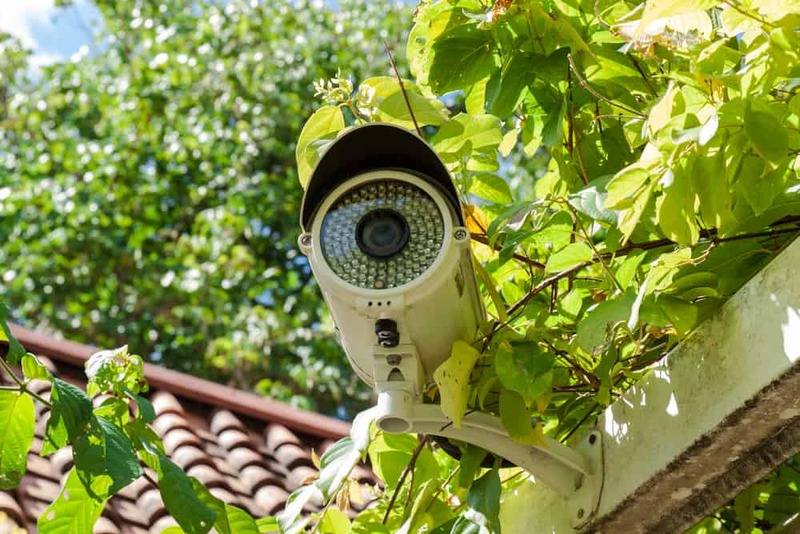 For instance, the use of security fences, home security alarm systems and effective lighting all go a long way to keep your home more secure.